Astro Lighting Versailles 400 single LED bathroom fitting features a chic, elegant wall sconce with a contemporary bronze finish. The translucent, rippled light diffuser emits a warm and inviting glow that completes this fresh and inspiring look. 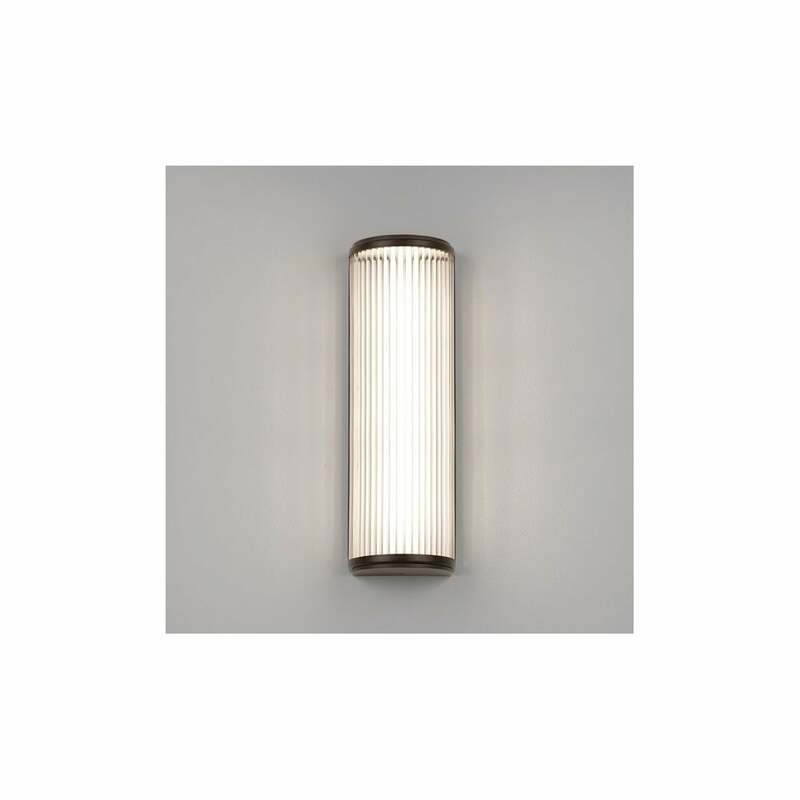 The product code for this Astro Lighting wall fitting is 7960. A modern item that will easily grace any room in which it is placed with its simple and versatile design. The bronze frame surrounding the fitting channels the light beautifully, whilst the diffused glass projects a welcoming light. Double insulated and IP44 rated so ideal for bathroom zones 2 and 3. Also available is a Versailles 250 which can be ordered via our website using product code 7837.